Friends and Neighbors of Swannanoa (FANS) sends a big shout out to the 45 volunteers (our largest group ever!) 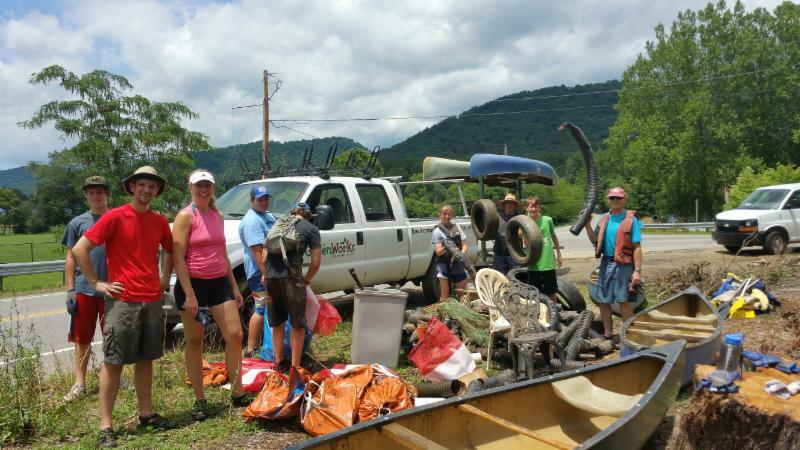 who turned out on Saturday, July 9, for a Swannanoa River cleanup. The event was co-sponsored by FANS and Asheville GreenWorks. 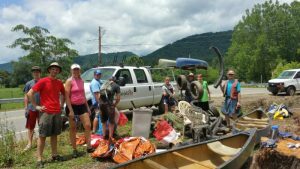 The volunteers waded through more than 4 miles of river, loading canoes with hundreds of pounds of trash. Thanks to their efforts, our river is cleaner and more beautiful than ever. Thank you! 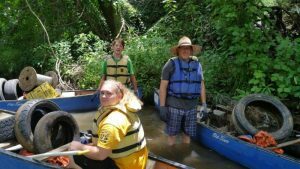 Stay tuned for information about next year’s cleanup. Don’t miss out on the fun!